This artist’s concept depicts an “iceball” exoplanet designated OGLE-2016-BLG-1195Lb, discovered with a technique called microlensing. Scientists announced the new discovery of a planet that, in some respects, is similar to Earth. Both are about the same size, and both orbit their suns at nearly the same distance. The new planet, designated OGLE-2016-BLG-1195Lb, was written up in an Astrophysical Journal Letters study. But according to NASA, the similarities between Earth and OGLE don’t really go anywhere. That’s because the planet is an iceball. It’s approximately 13,000 light-years from Earth and orbits a star so small that researchers have doubts whether it’s even a star. Astronomers found OGLE with a technique called gravitational microlensing, which helps to discover distant planets by utilizing background stars as if they were flashlights. When a massive body, like a star, passes in front of another star in the background, gravitational forces from the foreground object cause the background star to appear brighter. The following video demonstrates how microlensing helps detect new exoplanets. 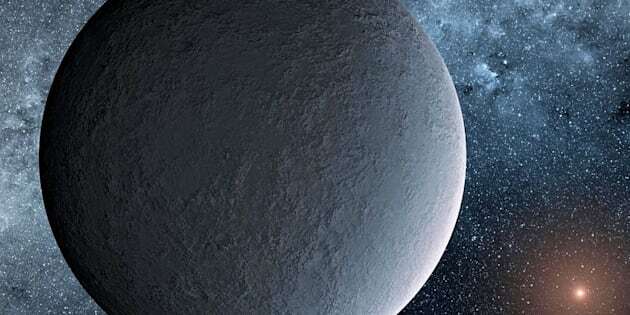 ”This ‘iceball’ planet is the lowest-mass planet ever found through microlensing,” said Yossi Shvartzvald at NASA’s Jet Propulsion Laboratory in Pasadena, California, and the lead author of the Astrophysical Journal Letters study. In order for scientists to find planets smaller than OGLE by using the microlensing technique, a better space telescope will be needed. NASA’s Wide Field Infrared Survey Telescope, or WFIRST, scheduled for launch in the mid-2020s, will meet that challenge. To date, approximately 2,500 exoplanets have been confirmed, with many more ahead.